2006, Factory established in Hangji Industrial Zone-China,the largest hotel products manufacturing base. 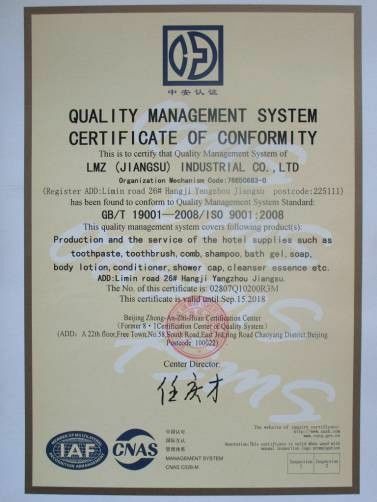 2007, Obtained the ISO 9001:2008 Quality Management System Certification . 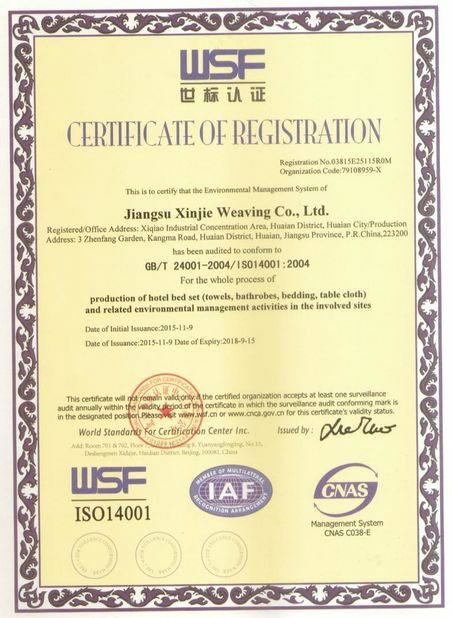 2008, Obtained the ISO 14001:2004 Environment Management System Certification . 2009, Obtained “The Top 10 Welcomed Guest Room Brand In China”. 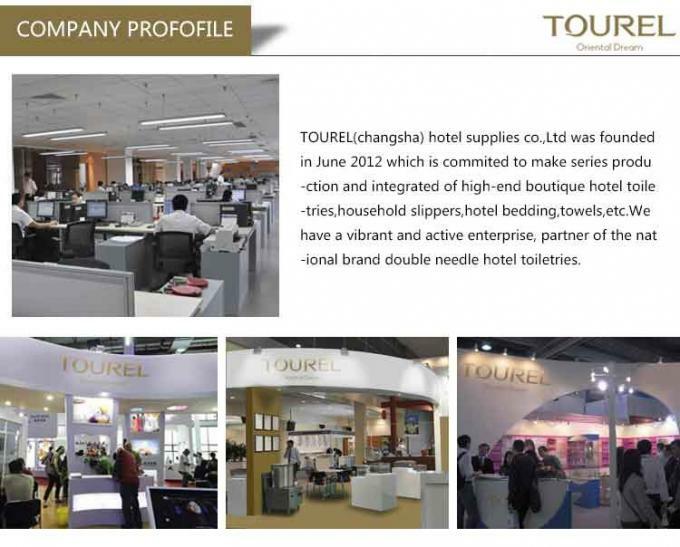 2011, Become the most popular hotel manufacturers in China. 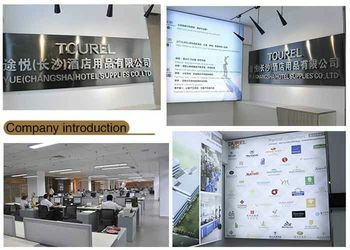 2012, Developed more than 30 agents in mainland and begin to do the foreign trade business. 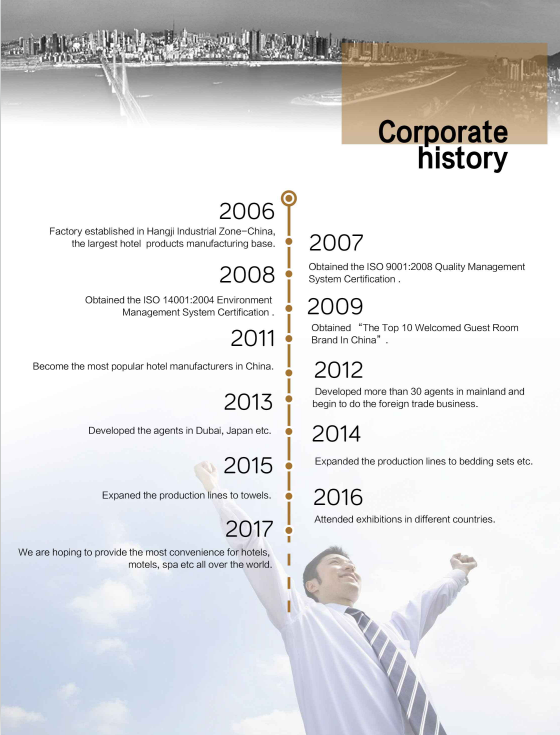 2013, Developed the agents in Dubai, Japan etc. 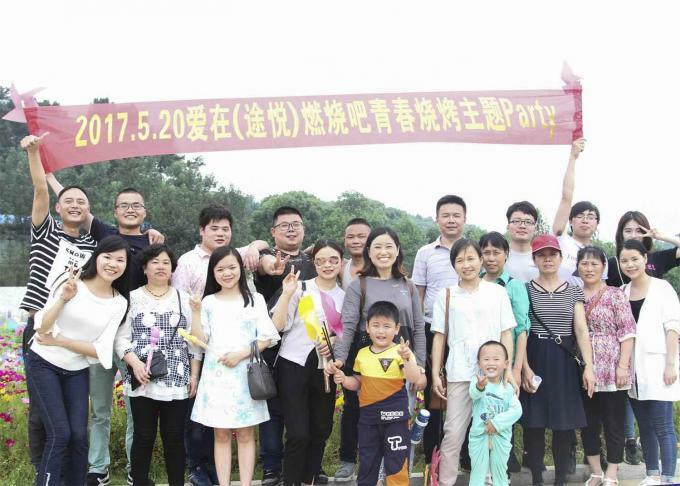 2014, Expanded the production lines to bedding sets etc. 2015, Expaned the production lines to towels. 2016, Attended exhibitions in different countries. 2017, We are hoping to provide the most convenience for hotels, motels, spa etc all over the world. Tourel is a professional manufacturer of different kinds of hotel items, such as hotel bedding sets, hotel towels, hotel mattress protectors, hotel bathrobes, hotel slippers, hotel pillows, hotel quilts, hotel plate mat, hotel cushions and other related disposable products such as shampoo, conditioner, bath gel, body lotion, sewing kit, vanity kit, shaving kit, shower cap, soap, loofah etc, all can also be used in motels, cruise ships, resorts, spa, clubs, restaurants, and hospitals. 12 hours quick pre-sales response and free consulting. 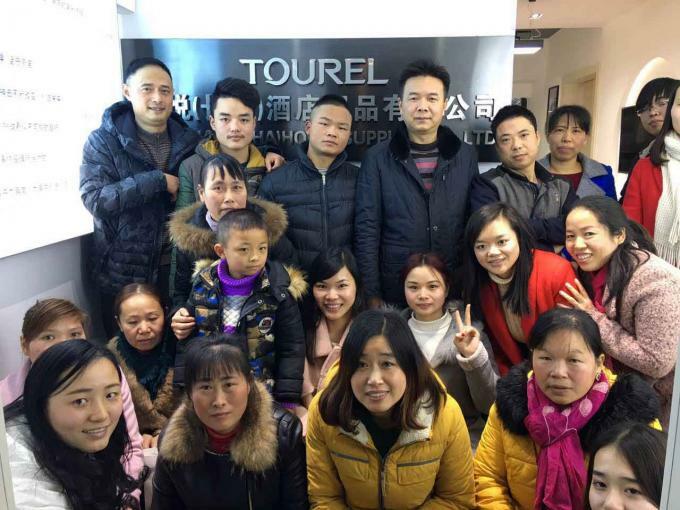 Adopt advanced testing equipment, Perfect Laser setup a complete & strict quality control system, which ensures the excellent quality of our machines. Upon receiving user’s notification, we ensure 24-hour after-sales service support. 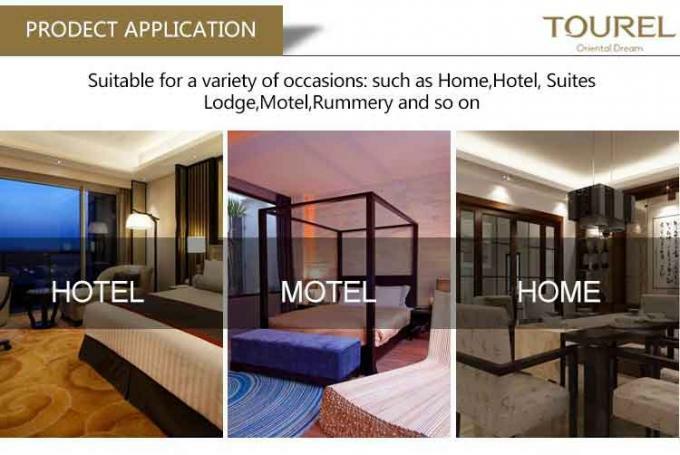 For more detailed information, please do not hesitate to contact us!